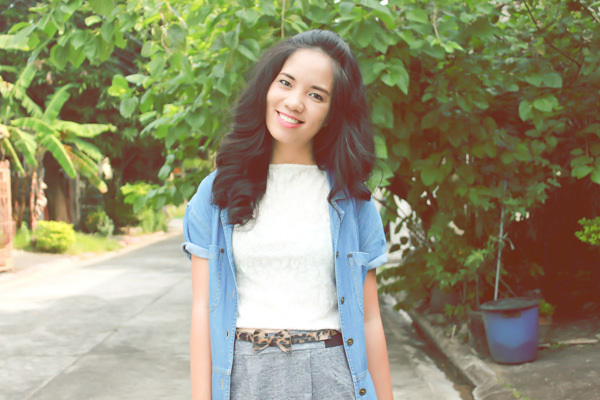 Denim, lace, cotton. Someone certainly went for it! Despite using different materials for this look, the colors sure made it all fitting to be used together. 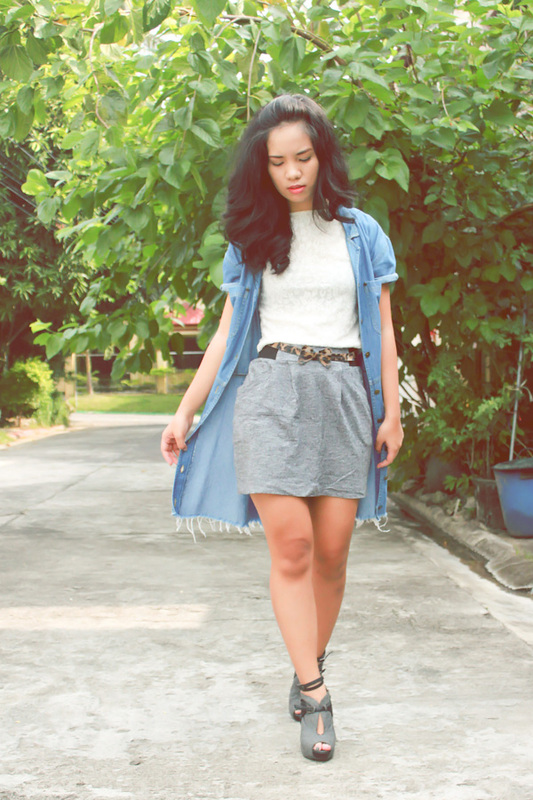 You might be interested to know that this denim piece I've used as a cover-up is actually a dress. #totesamaze, yes. And please excuse the sleepy eyes. Oddly enough, there's not much sleep going around here. Also, somehow, this look reminds me of my High Socks, High Waist, High School post where I looked rather back-to-school-ish. I will be putting the denim dress up for sale soon if you're interested. But you can e-mail me now if you're interested - megann.stylesurgery(at)gmail(dot)com or use the message box on the sidebar. How was your week? Fist pumps for the weekend! I love your hair so much girl, of course great outfit as well! the look gives me that 90's vibe meggy! love the belt too!! nice outfit! love all the details in this look! Girl, you looking really good here !